Twelfth House Lord in the Fourth House/12th House Lord in 4th House. Today, 12th house lord sitting in 4th house. Now, what does it mean to have 12th house lord sitting in 4th house? It means the planet which rules/controls/owns the 12th house of your horoscope is sitting in the 4th house of horoscope. Now, what is the impact of having 12th house lord sitting in 4th house? This is one of the placements where Foreign Lands or Foreign Things are influencing your Home Environment. This is also a placement of a very private person as 4th house and 12th house both represent privacy. It also shows someone may be bringing the benefits of Foreign Land in Home, like he may be able to build a house out of money he earned in Foreign Lands. If malefic planets in wrong dignity are in 4th house then it may be the case of losses coming to home or mother. Here, Mother may have Foreign Connection. It also shows a highly intuitive & spiritual person as both Moksha Houses are getting attached. It may also be a person who performs Spiritual practices at home. It also shows that home environment may be very spiritual. Now, results may be different due to aspect, conjunctions of other planets or the planet being Retrograde or Combust. Moreover, now we also need to check the strength of 4th house lord as 12th house lord is going in 4th house. So again, Overall Chart Reading is important. So, let's see how different planets will behave differently as 12th house Lord in 4th house. Sun - Suppose it is a Virgo Ascendant chart and Sun rules the 12th house with Leo sign and sits in the 4th house in the sign of Sagittarius. As Sun loses its Dig-Bala in 4th house, it may be a situation of father's absence in life of a person, for any reason. It shows a person who gains confidence in life when he deals with matters of higher education and philosophy. Normally, this is a person who is highly learned & educated and may be in the field of academics & teaching. He may be teacher/professor in Foreign Lands. Here, Mother has to take up the role of Father also and hence she becomes a disciplinarian and strict. Moon - So it is Leo Ascendant Chart and Moon rules the 12th house with Cancer sign and sits in 4th house in Scorpio, where it is debilitated. Now, if Moon is nearby its exact degree of debilitation, it shows that some health related problems or losses can impact home environment or Mother, as 12th house is house of Hospitals. At the same time, it may show an occultist working from the home or private office. It also shows a highly intuitive person. It also shows that due to foreign lands, person got separated from mother and home. With Moon in Scorpio, to gain peace of mind, one should always involve himself in Occult Practices or Studies. Taurus Ascendant - So if it is Taurus Ascendant, Mars rules 12th & 7th house and sits in 4th house in Leo sign. This is the case where person may get lots of real estate property due to benefits from Foreign Lands. This also shows someone in defense or security jobs with Govt and defending the home land. This person will always stand as guard to home and mother. As Mars remains a malefic planet, it shows argument and dominance struggle at home but the end purpose will be good as Mars is in good dignity here. Sagittarius Ascendant - Now if it is Sagittarius Ascendant, Mars rules 5th & 12th house and sits in 4th house in Pisces sign. This again shows a person who is working like a guard or protective force towards home and mother. Person earns in foreign lands in technical fields and that helps him in homeland. Again, arguments with Mother are seen but overall it is for good purpose. With age, person becomes more calm in approach. In both cases, person gains good real-estate properties. Cancer Ascendant - If it is Cancer Ascendant, Mercury rules 12th & 3rd houses and sits in 4th house in Libra. This shows person is very communicative within home and with mother. He likes to talk about spiritual matters. There is a great chance of running a home business here related with Foreign Products. Alternatively, they can work as counselors in spiritual matters from their home or private offices. They like to have balanced communications. Their relations with mother are more like friends. Libra Ascendant - If it is Libra Ascendant, then Mercury rules 9th and 12th house and sits in 4th house in Capricorn. This shows someone working in the field of analysis and details from their home and which gives them authority. They are also very analytical and perfectionists in matters of home environment. Their communication style is slow but effective. They are highly analytical about their spiritual views and try to be perfectionist there. Their work is communications and counselling based. Gemini Ascendant - If it is Gemini Ascendant, Venus rules 12th & 5th house and sits in 4th house in Virgo sign, where it is debilitated. If Venus is nearby its debilitation point, it shows that person's wealth from Foreign Lands is not too helpful in for home. It also shows that relations at Foreign Lands may spoil the home environment and person may even have to lose home or wealth due to such disputes. As such, person may be careful about having any relation at foreign lands. Career wise, it is a good position for being in Stock Market or in Accounting/Auditing related work. Relationship with Mother may get spoiled due to person's love matters. Scorpio Ascendant - If it is Scorpio Ascendant, Venus rules 7th & 12th house and sits in 4th house in Aquarius. This shows someone working in Foreign Lands in MNCs in Finance related field and earning wealth. This is a much better position than earlier one as Venus is in friendly sign. It shows person has a beautiful house and a pleasant relation with Mother. Money earned in Foreign Lands will be useful. It also shows someone serving for humanitarian purposes and social welfare through Spirituality. Capricorn Ascendant - If it is Capricorn Ascendant, Jupiter rules 12th & 3rd house and sits in 4th house in Aries Sign. This is a great position for a Teacher or a Counselor who has all the Higher Knowledge and Philosophical Learning. This also shows person has huge house properties. As Jupiter is in the sign of Aries, it shows person has profound but adamant belief system. It means that person may not be open to ideas of other religions or other beliefs. But still a very good teacher. Aries Ascendant - If it is Aries Ascendant, Jupiter rules 9th & 12th house and sits in 4th house in Cancer, where it is exalted. This is best position among all. A great Counselor, Teacher and Spiritual person. 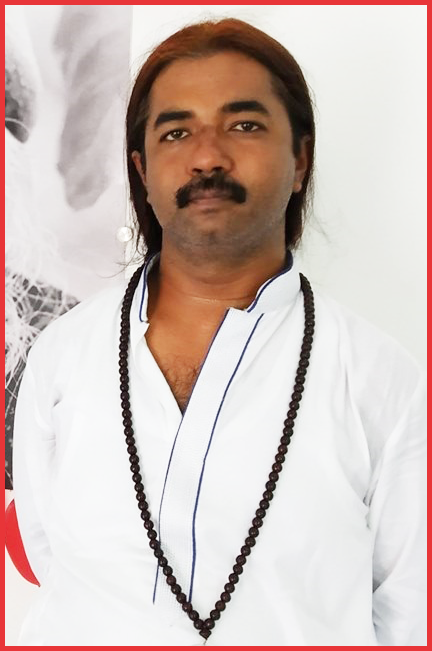 This person can be working as Spiritual Teacher, Counselor or Astrologer from home or private office. Their knowledge is worldly. They will be receivable to all the beliefs and religions. Huge gains from Mother and House Properties in both the positions of Jupiter. In either sign (Aquarius/Capricorn) as 12th house lord, Saturn in 4th house (for Pisces/Aquarius Ascendants respectively) shows that Mother was strict and disciplined lady. There was an Army like environment at home. It gives a distant or stressful relation from Mother, where both sides want to pull each other on their way. They may even be taken away from home and mother in early life. This shows that your income/earning will come only by way of hard work, dedication and persistent efforts. This can give good gains from Govt, Law or Real Estate, but they need to put best effort for a very long time to gain anything in life. Their earnings may be coming from authority position in Foreign Lands and MNCs. They may be in a job where they have to do a repetitive job. Things improve with home, earnings and mother after mid 30s when Saturn matures. Rahu - If Rahu is 12th house Lord through its sign Aquarius, as it co-rules Aquarius along with Saturn, and sits in 4th house in Gemini then 1st of all we need to make sure of Saturn's position as it is the main ruler. Rahu in Gemini in 4th house will transform Rahu as Mercury as Rahu changes its nature as per the lord of sign it is placed in. At the same time, Rahu's basic nature of being insatiable will remain there. Rahu in Gemini in 4th house shows a highly communicative person. It can be hard to keep these people quiet. It also shows a weird/unusual relation with Mother. It can be any type of unusual-ness, like Mother can be a foreigner, Mother can be a Foster one etc. Home environment is very unusual, may be person has home in foreign lands. As Rahu remains the most malefic planet, it certainly shows some weird or unusual events or losses happening inside home. They can do well in professions where they need to communicate with others. So, they can be good in marketing and salesmanship. As Rahu represents online world, they can be good with online marketing things. Ketu - Likewise, If Ketu is 12th house Lord through its sign Scorpio, as it co-rules Scorpio along with Mars, and sits in 4th house in Pisces then 1st of all we need to make sure of Mars' position as it is the main ruler. As Ketu isolates/separates a person from the things related to the house Ketu is sitting, here as Ketu is in 4th house the relation with mother goes for a real toss. These people are either physically separated from their mother or they feel a mental separation always. They always feel that their mother is unable to understand their point of view or vice versa. They feel that their mother was unfair to them. They may not buy a property in their own name if they want to reside in it. At the same time, this position gives high intuition powers. This position is one of Moksha Margi position, means these people can get enlightenment and liberation if they make effort. Ketu in Pisces is the only position where Ketu is peaceful and chances of person getting deep into spirituality and meditative practices grows manifold. Person will surely leave his birth place.